The best skin care treatment for summer is at Avila Skin Studio! It’s called the Oxygen Infused Peptide Facial. My Oxygen facial provides the perfect combination of hydration and repair for your skin. What is the Oxygen Infused Peptide Facial? Hydrate: If your skin is dry and/or dehydrated skin this facial is perfect. It will also will take care of any lines and wrinkles that may appear on the skin. Repair: If you have an uneven skin tone and hyperpigmentation, this can help brighten up your skin. Clarify Acne: This service can help balance the skin, which ultimately helps minimize potential acne outbreaks. Tone and Lift: Seen as a non-invasive (needle-free) alternative to a Botox treatment, the tone peptide helps to soften up expression lines, and the tone will help to firm them up. It also helps to contour the eyes, plump the lips, and smooth out wrinkles and lines, especially near the mouth and eyes, as well as on the forehead. When should I come in for an Oxygen Facial? This is the best skin care treatment for summer because you can really enjoy the benefits of this facial anytime. However, many of my clients come in before an event as it can help to plump and improve the appearance of skin. When your skin looks good, your make up and everything else will look better! What is the difference between the Oxygen Facial and a regular facial? 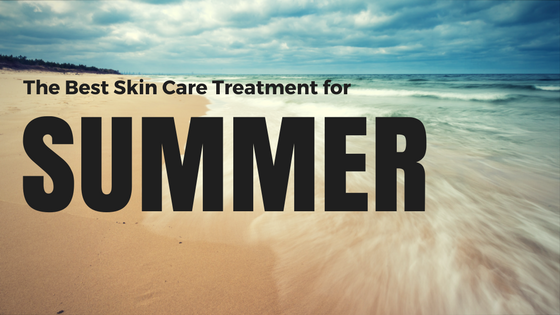 Are you ready for the best summer skin care treatment?